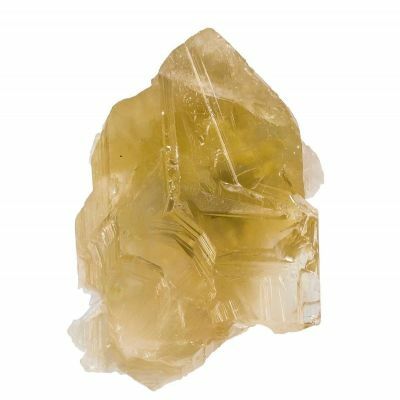 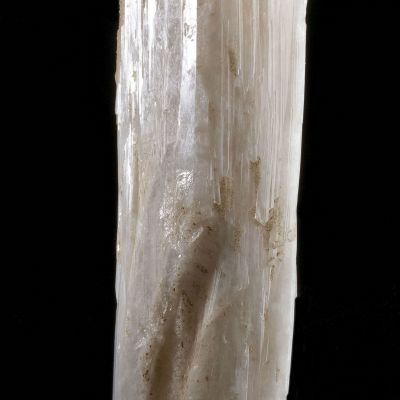 6.1 x 2.1 x 1.3 cm (Specimen); 27.23 carats; 21.97 mm x 16.93 mm (Gem) - A classic rough and cut set of Danburite from what is the premier locality in the world for fine crystals AND gems. 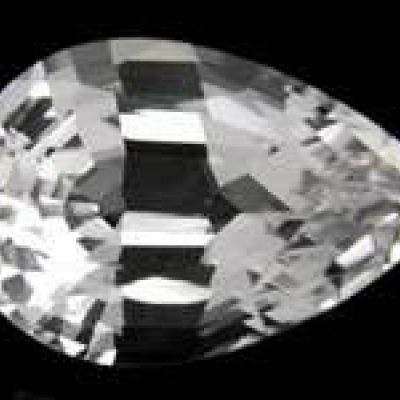 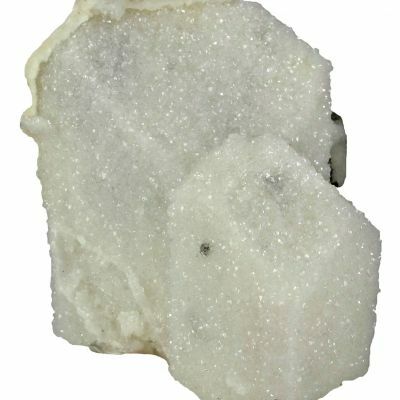 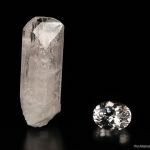 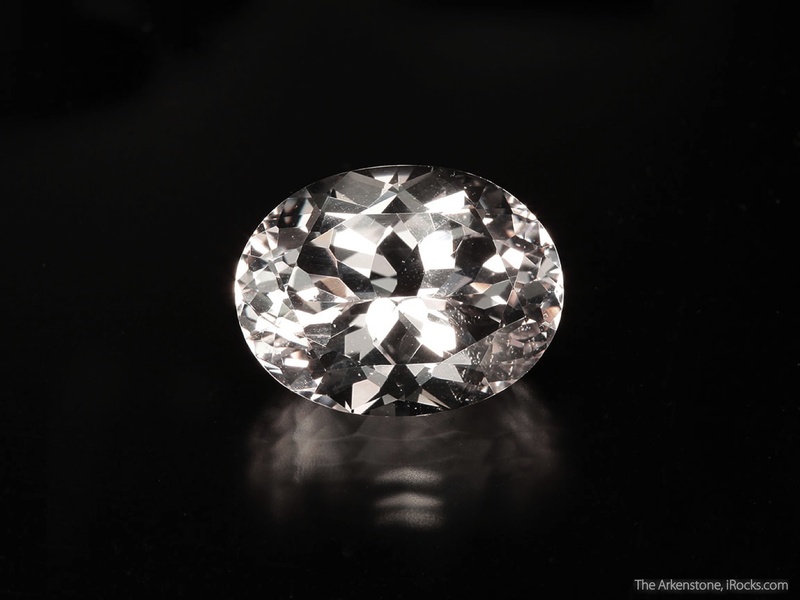 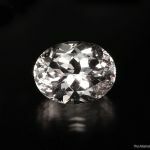 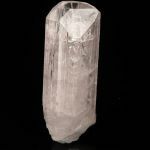 The "Oval Brilliant" stone is really on the big side for a faceted Danburite, and is large enough that it even shows a slight pastel pink overtone, so it doesn't look completely colorless. 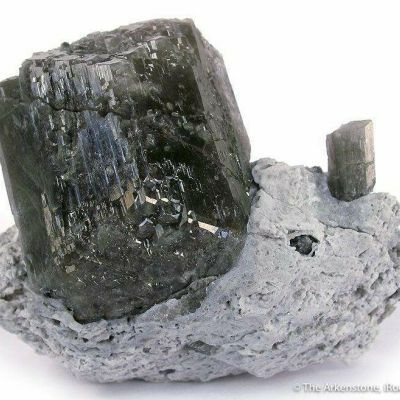 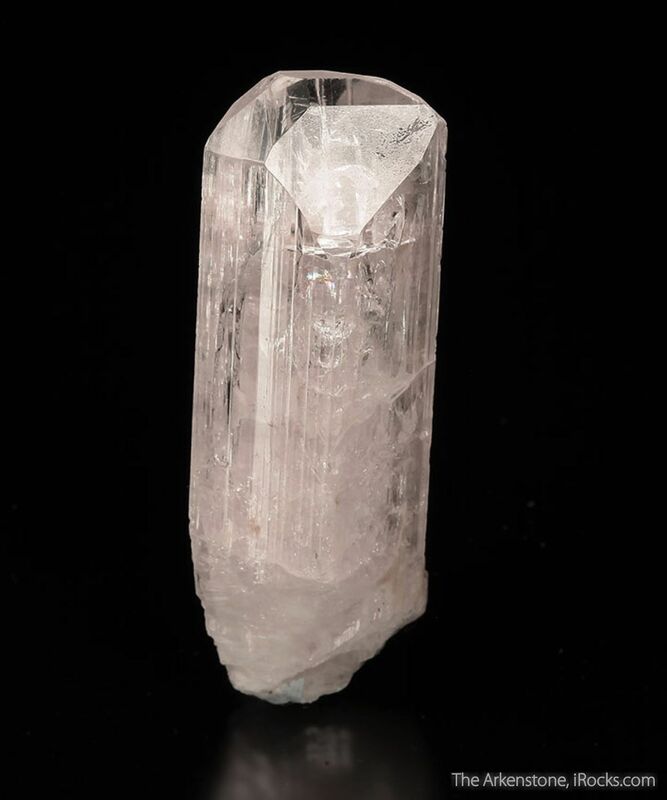 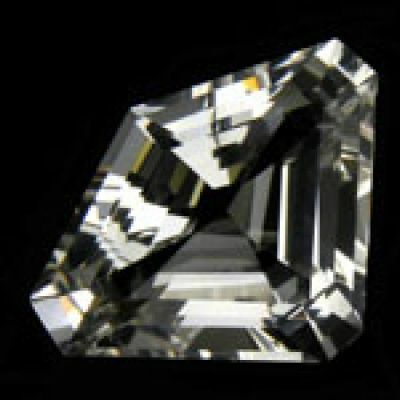 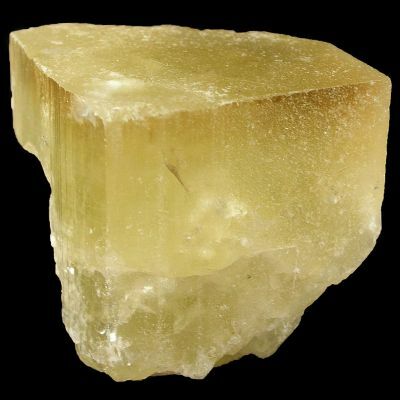 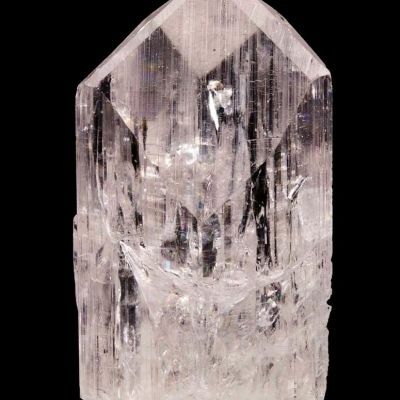 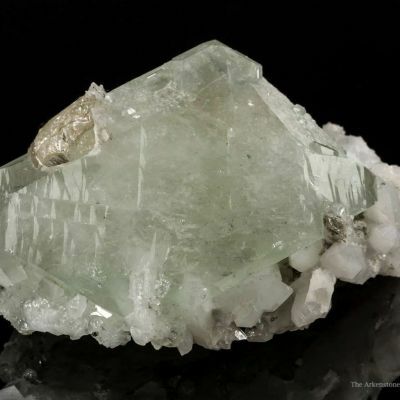 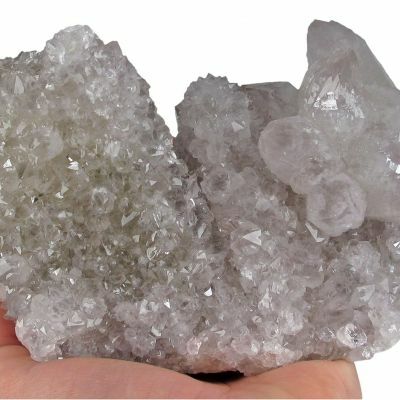 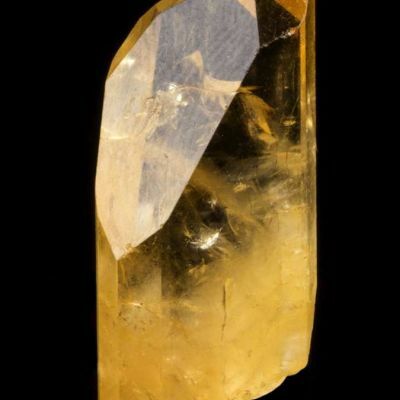 The crystal is wonderfully terminated with smooth, shining bright faces and ranges from WATER-CLEAR at the termination to virtually opaque at the base. 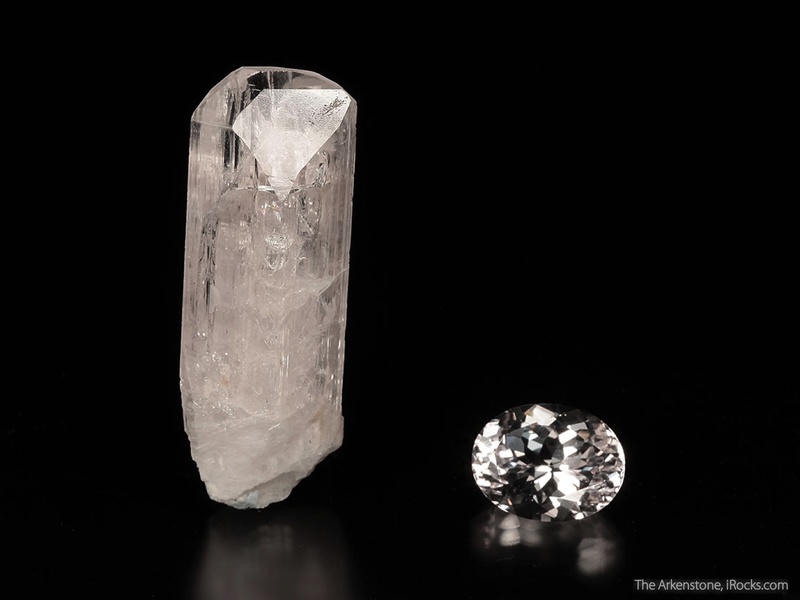 Either the crystal or the stone would stand alone as a great representation from their respective field, and put together, to whole is greater than the sum of its parts.